Italy, this country is one of the most visited in all of Europe. There are so many big cities that draw people in such as Rome, Naples, Venice, Florence and more. This country has so much history dating back to include the Roman Empire and before. Venice is an absolutely amazing place to visit. Even the most skeptical of travellers can't help but fall prey to it's charms. A city without roads but still everything a city has to offer! 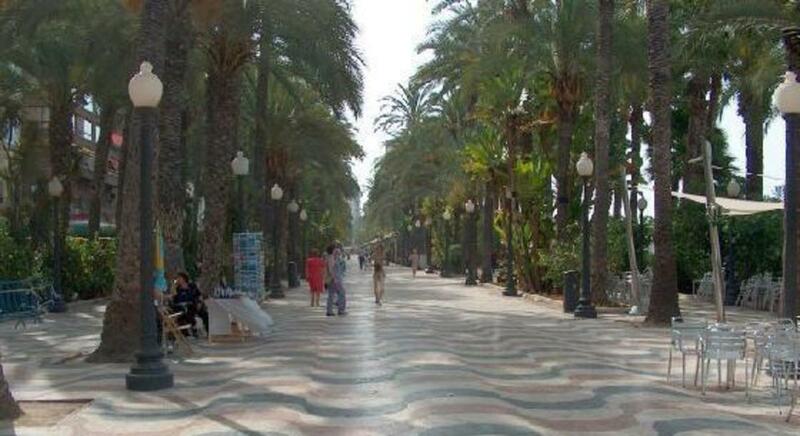 No traffic jams or congestion a place where walking and water transit is the only way to get around! Venice’s charms have been seducing visitors since the dawn of the Republic. One of the best times to take photos in Venice is in the early morning. The light plays with the buildings in surprising ways. Also, since most of the city is not a grid-pattern, you never know what you’ll see as you look down one canal or cross the next bridge. It’s like a fabulous Venice-randomizer! Ca´ Vendramin Calergi, Venice - Best wedding locations in Italy - This Palace is one of Venice locations where you will be allowed to celebrate a civil weddings in one of the most beautiful city on Earth. A palace on the Grand Canal in the sestiere (quarter) of Cannaregio, it was designed in the late 15th Century. 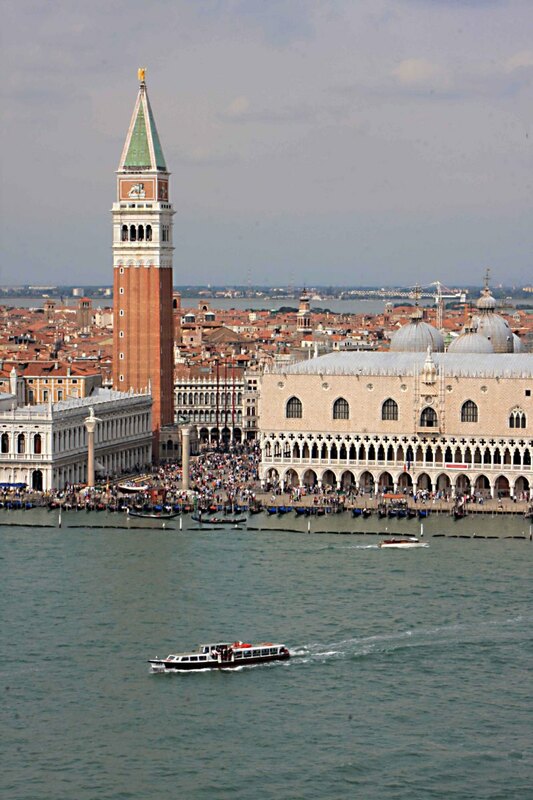 It is home to the Venice Casino (Casinò di Venezia) and the Wagner Museum (Museo Wagner). When to Go: Venice at its best Best weather: April to June, and September to November. July and August are the hottest months, which may make the canals smell. Tourism swells June through August. 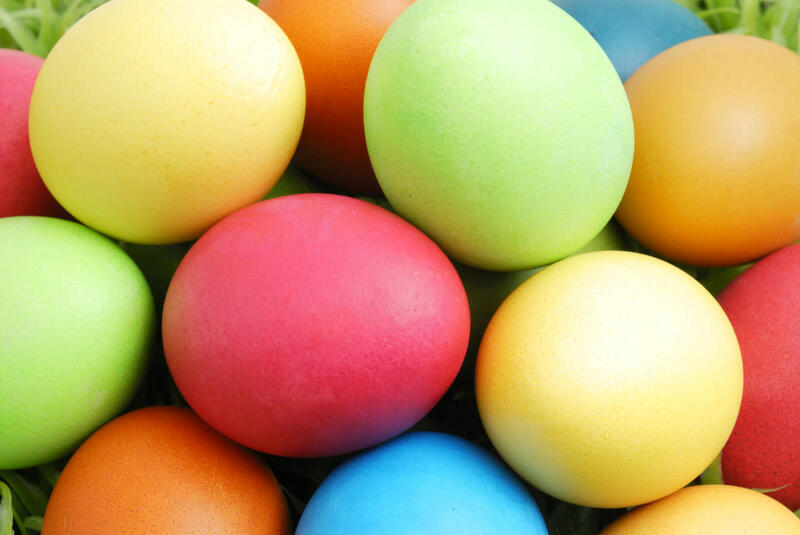 Best prices: Winter (excluding the Christmas holidays and Carnivale week), early spring and late autumn. Before you travel to Italy you should be aware that amongst the basics of the Italian food and drink culture are not only pizza, pasta, and red wine; an essential one simply cannot exclude is coffee. Those who have stayed in apartments in Venice, Rome, or any other Italian city even say the coffee in Italy is the best in the world. Most people in Italy shop in several stores and outside markets for their food, not one big supermarket. They buy their bread from the baker, their vegetables from the farmer, their meat from the butcher. It might take a long time to do the grocery shopping, but it ensures that all the food is fresh and extra delicious. Coffee is a serious past-time in Italy and comes with its own etiquettes and customs. 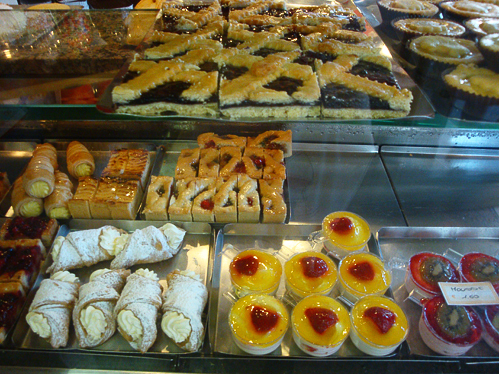 Italian pastries and cakes are often overlooked but are among the best in the world. The Bellini-this beautiful drink originated in Venice around the 1940's from the infamous Harry's Bar. While most Bellinis nowadays won't always be pinkish in color, it was named the Bellini because it's pinkish color reminded the creator of a pink toga in a painting by artist Giovanni Bellini. Harry's Bar in Venice - Cipriani bar Venezia Italy. The Bellini was invented there, and it's delicious. Prosecco is the sparkling beverage of choice in Venice, not to mention much of Italy. The Veneto region produces much of Italy’s prosecco and it can be enjoyed alone, in a cocktail, or in a Bellini which was made famous in Venice. Prosecco pairs nicely with the abundant seafood dishes of Venice. Peach Prosecco Punch - An incredibly refreshing bubbly party punch madewith Prosecco peach nectar and fresh berries! Mortadella, made from finely ground pork sausage that is heat-cured, is sold in many different ways. Packaged with spices, herbs, or peppers, it is a uniquely Italian sausage usually eaten during dinner or put into sandwich format. Baicoli are Italian biscuits originally from Venice and often served with zabaglione and coffee. Originated in Venice, the Sgroppino is nothing more than a scoop of sorbet drowned in a glass of Prosecco, and it is in Italy a very common summer after dinner dessert. Tradition wants it to be made with lemon, strawberry or raspberries sorbet, but Debi and I were in the mood for something special; we needed to add our Super Tuscan twist to this recipe, so we created the very first ever Limoncello Sorbet. The Grand Canals ~ main waterway of Venice, follows a natural channel that traces a reverse S course from San Maria Basilica to Santa Chiara Church & divides the city into two parts, northeastern Italy. Venice Bridge of Sighs -it's said that couples who ride a gondola under the bridge are together for eternity. Local legend says that lovers will be granted eternal love and bliss if they kiss on a gondola at sunset under the Bridge of Sighs as the bells of St Mark's Campanile toll. Rialto Bridge at Sunset. The Rialto Bridge in Venice Italy is an icon and lives up to expectation. 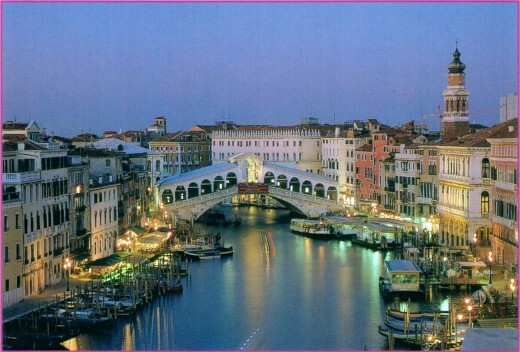 Although you do want to cross it, the best view and photos of the bridge are from the Grand Canal. Palazzo Barbarigo in Venice is located on the Grand Canal. It was built in the 16th century and is quite opulent inside. Pietro Lombardo, Palazzo Dario, 1487. Palazzo Dario is a palace in Venice, northern Italy, situated on the Grand Canal of Venice at the mouth of the Rio delle Torreselle in the Dorsoduro sestiere (quarter) on the Campiello Barbaro. The palace was built in the floral Venetian Gothic style and was renovated with Renaissance features. Santa Maria della Salute is located in the Dorsoduro sestiere of the Italian city of Venice. It stands on a narrow finger of land between the Grand Canal and the Bacino di San Marco making the church visible when entering the Piazza San Marco from the water. 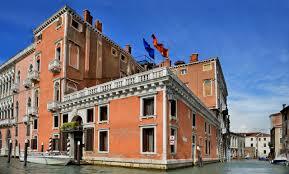 Palazzo Barbarigo is a palace in Venice, situated on the Grand Canal. It was originally built in the 16th century. Today it is one of the more opulent palazzi on the canal, distinguished by its mosaics of Murano glass applied in 1886. At the time it was owned by the proprietors of one of the glass factories. Part of the Palazzo Barbarigo is today a showroom and shop of Murano glass. Stay away from San Marco Square and the train station. Go INTO Venice's smaller squares for delicious, well priced, traditional food. Lots of seafood, rice and polenta, and Greek influence. 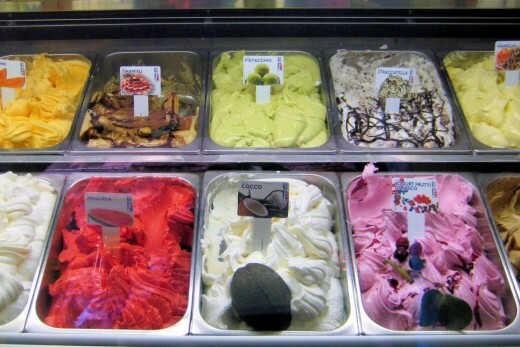 Gelato displayed in covered metal tins (rather than white plastic) is more likely to be homemade. Ask as Italians do, for "Un assaggio, per favore?" (A taste, please?). P.S. Beware of scams at touristy joints on busy streets that can turn a simple request into a 10 euro "tourist special" rip-off. Be very clear "a 3 euro cone". Coral handled knife and fork, Venice- Late sixteenth century, Luxury goods like this were imported into Britain from Venice. Whatever your class, eating knives and spoons were carried by all and for the well-off were worn as items of status defining jewellery. Carnival is a week in Venice where everyone must wear masks at all times. There is singing and dancing and free food all week as well. Sounds like a grand ole time. The Venice Carnival is now world famous. It always takes place during the ten days leading up to Shrove Tuesday. Carnival, being a pre-Lent festival, means 'farewell to meat' and is celebrated throughout Italy. It is a great excuse to don a mask and costume. The tradition of Venice Carnival began in the beginning of the 14th Century. 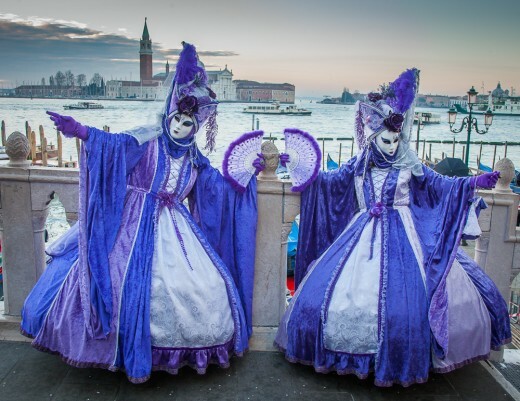 Venice Carnival is one of the most internationally known and visited carnival in Italy. 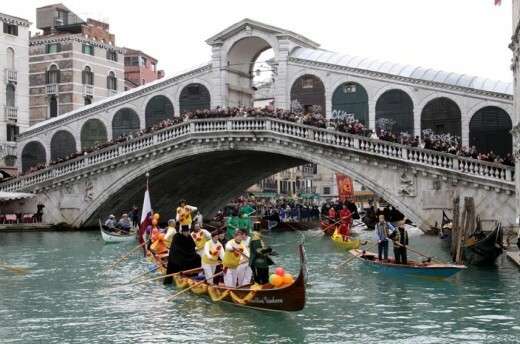 The carnival is held every year in Venice and starts 40 days before Easter. The masks were used to hide differences between classes in the past. The streets flood artists and musicians and of course people in impressive costumes. It is very common the see couples in costumes. Chiacchiere are typically made at Carnival time in Italy. Sometimes they are called Frappe all depends on the dialetto. Don't limit yourself to pizza and gelato. “Simplicity is the ultimate sophistication.” said Leonardo Da Vinci & Italians still live it! "Cicchetti" are little snacks that are served at bars in Venice. They include things like tiny salami sandwiches, small plates of olives, various fish and other pastes spread on breads (like crostini), and whatever else comes to mind – or to market. Typically, one eats cicchetti during the day – at lunch time, or in the late afternoon – usually accompanied by a small glass of wine. Caffe Florian in Venice has a true Italian feel. the lighting and warm colours helps to make the food look more appetizing and aesthetically pleasing. It is considered one of the oldest cafes in Italy and, given its prestigious location just under the arcades of the Procuratie Nuove in Piazza San Marco, it has become a symbol of Venice. OSTARIA BOCCODORO, Venice, ITALY -The restaurant is situated in campiello Widmann, which is always buzzing with Venetians and a lot quieter than other touristy spots around the city. When the weather’s good, grab a table outdoors and enjoy an unusual, charming view of Venice. 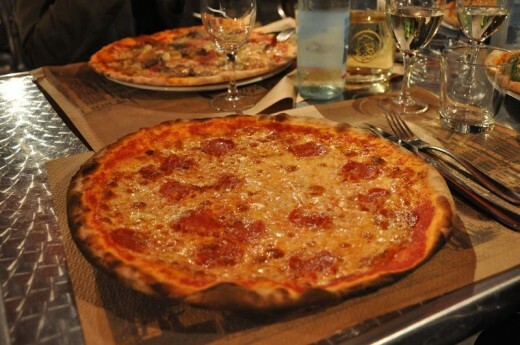 Pizza restaurant in Venice - good for families with kids and dining on a budget! One of Venice's top restaurants located near Palazzo Ducale, the Grand Canal and St. Mark’s Square on the top floor of Hotel Danieli. Enjoy rare views of the Venice lagoon, the island of San Giorgio, and romantic sunsets over the Grand Canal as it flows into Saint Mark's Basin. The restaurant has large picture windows and outdoor seating is available seasonally. Ai Artisti in Venice, Italy. Fantastic food and wine! The chef shops daily at the Rialto Market and the menu changes daily depending on what is most fresh and in season. Osteria Da Fiore is widely considered the best restaurant in Venice. It is the only restaurant in Venice to have a Michelin star. Amazing food, wonderful setting and the owner, Signor Martin, is a very nice gentleman. Luxury breaks don’t get more romantic than Venice, and hotels don’t get more Venetian than Ca’Sagredo. Original frescoed ceilings, magnificent gilded furniture and sweeping marble staircases abound in this 14th-century former palace on the Grand Canal. Strawberry and Prosecco Tiramisu. Tiramisu first appeared in the Veneto region of northern Italy in the 1970's. Sirmione is a wonderful little medieval town on the southern tip of Lake Garda in Italy. 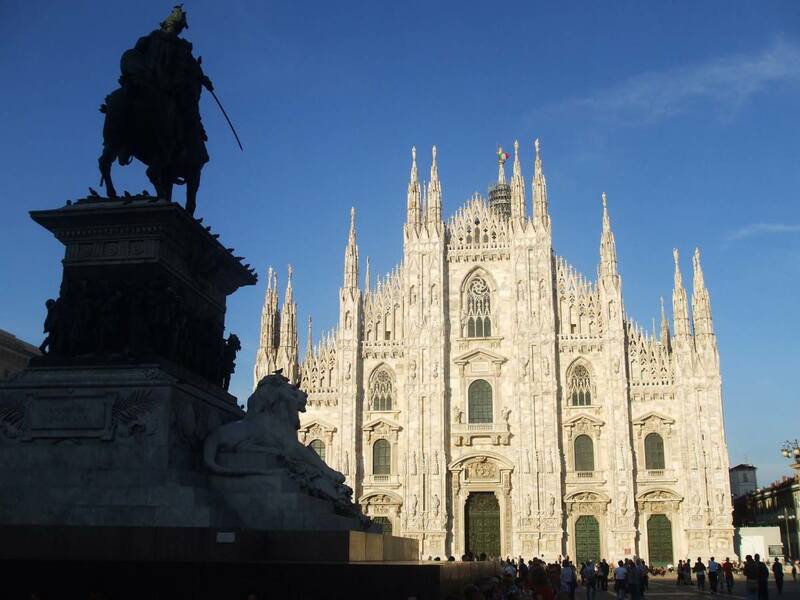 Easy to get to and a great halfway point between Venice and Milan! Italy’s Franciacorta region is turning out some of the world’s best sparkling wines. The mountainous Isle of Capri is located 19 miles south of Naples, Italy, on the edge of the Gulf of Naples and directly west of the Sorrentine Peninsula and the stunning Amalfi Coast. This limestone rock is famed for its unparalleled scenery and sea views, the Blue Grotto, and the numerous ruins of Imperial Roman villas. Just 6km from end to end and less than 3km across, Capri is served by ferry or hydrofoil from Naples, Sorrento, Positano or Amalfi. Chioggia is one of those towns, along with Burano e Pallestrina, that are often overlooked but shouldn't, as it is a great alternative to get away from the crowds of Venice. 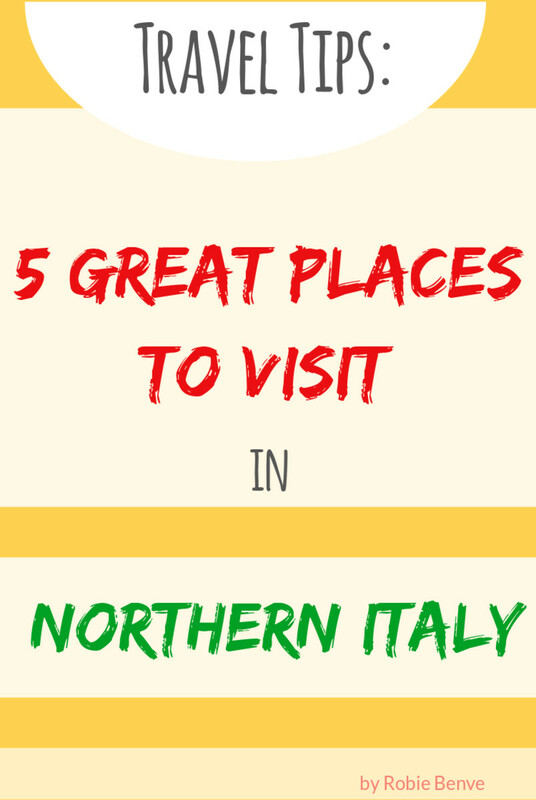 While the food in Italy is reason enough to visit, the country is filled with famous works of art, exceptionally beautiful cities, and gorgeous lakes and mountains. This includes important classics like Rome's Colosseum and Venice's canals, but also added more obscure spots, like the gardens of the Villa d'Este and the natural hot springs of Saturnia in Tuscany. Besides its Byzantine design, St. Mark's Basilica in Venice, is notable for the treasure trove of priceless art contained inside. Italy is one of the most romantic destinations in Europe. The combination of great food, wine, chocolate, stunning views, and ancient history makes Italy a great place for lovers. Take a romantic gondola ride down the City of Water in Venice! Stroll the palaces and piazzas, explore the ancient architecture, and while away the day in chic boutiques, art galleries, and canal-side cafés at one of the worlds best cities for romance.